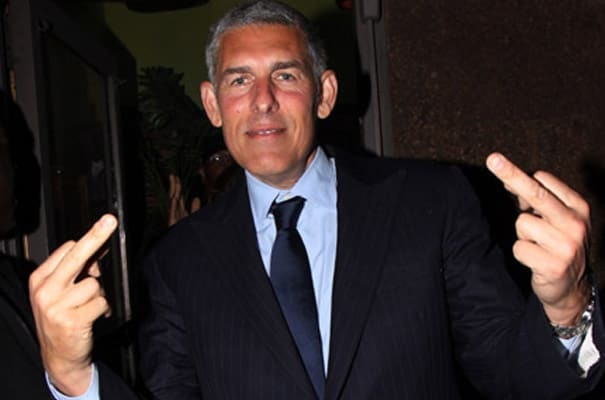 Lyor Cohen arrived on Russell Simmons’ doorstep in 1984, thinking he was going to get a piece of Simmons’ Rush Productions in return for moving all the way from Los Angeles to work for him. What Cohen got instead was an virtual internship with little compensation and a crash course in the hip-hop business. Cohen learned how to road manage Run-DMC by absorbing the ins and outs from his first teacher, Jam Master Jay. From there, Cohen would earn his keep for Simmons, landing one of the first merchandising deals for hip-hop groups in an arrangement with Winterland; and one of the first consumer product endorsements with Run DMC’s Adidas pact. He spearheaded a number of concert tours, and by the time that Rick Rubin left Def Jam in 1988, Cohen had indeed proven himself indispensable to Russell Simmons, who had neither the time nor patience to manage a team and build the company. Cohen’s drive and loyalty made his ascent to the head of Def Jam an inevitability, and his ultimate financial victory predictable. Those same faculties helped Cohen succeed as a major label executive after the sale of Def Jam to the Universal Music Group in 1999. So when, in 2004, Cohen was offered the chance to helm the entire Warner Music Group, it represented a real landmark—not just for Cohen, but for all of hip-hop. For the first time, a person from the hip-hop community—trained by two rappers and a DJ, not by Ivy League law professors—would be running a major record conglomerate. And when Cohen took the job, bringing his lieutenants with him, he changed the culture of Warner Music Group and remade it in Def Jam’s image. Cohen now effectively runs one quarter of the American music business.